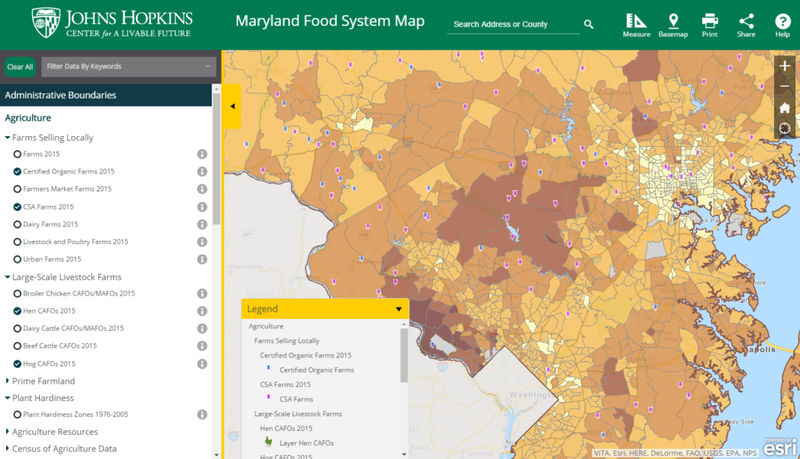 Blue Raster is proud to launch a completely redesigned Maryland Food System Map in partnership with Johns Hopkins University Center for a Livable Future (CLF). 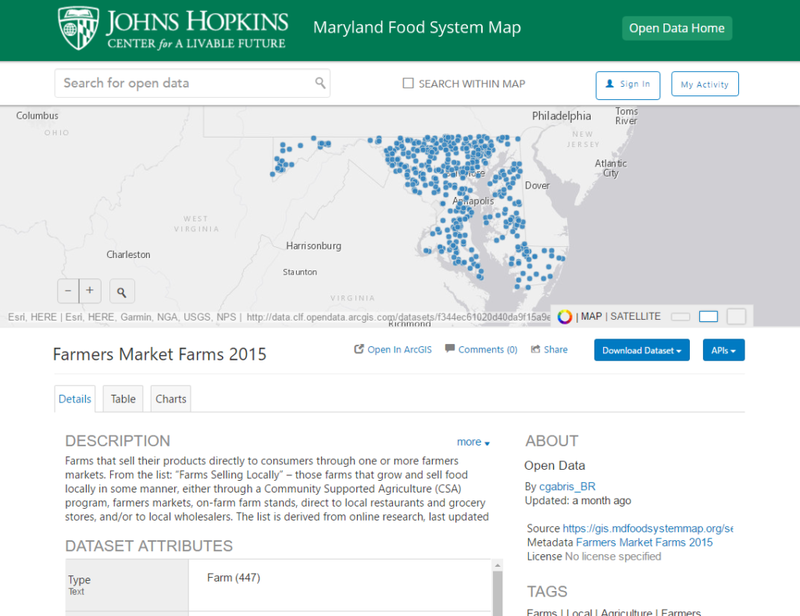 This new interactive mapping application enables users to visualize and download data on food and public health in Maryland, providing visibility into topics including agricultural production, food insecurity and locally-sourced food options. Users can explore the map to better understand geographic patterns and trends in their community, create their own map, or download data for their own research and planning. The application also has a number of new functions, including data filtering capabilities, and measure, search, and sharing tools. For example, users can build a map, zoom to a point of interest, and share the map they created through a unique URL. The map sharing tool enables users to post their maps on social media, or embed them on a website or blog. Be sure to check out the interactive mapping application today!